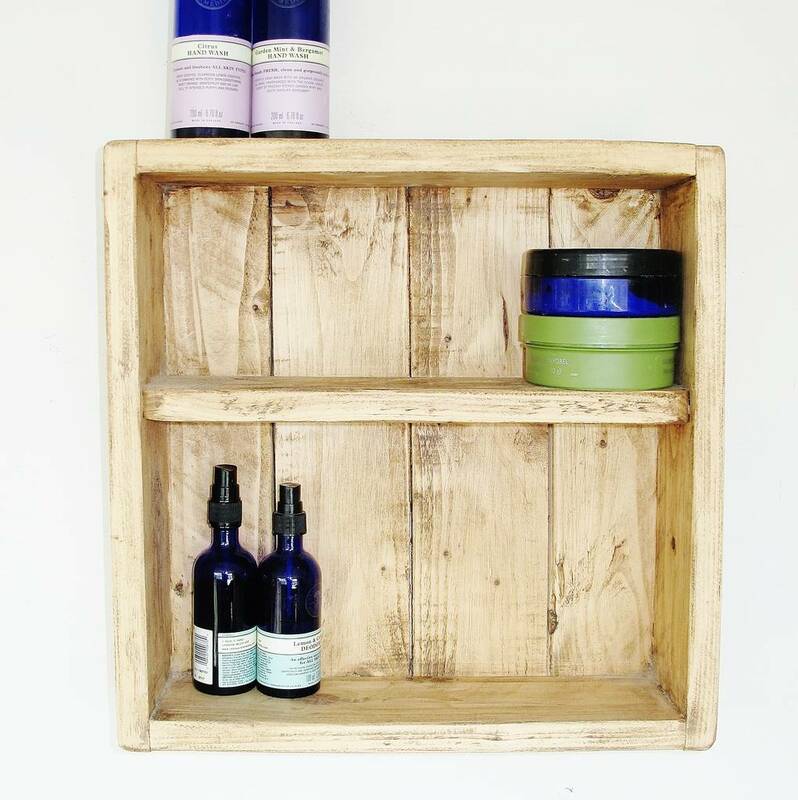 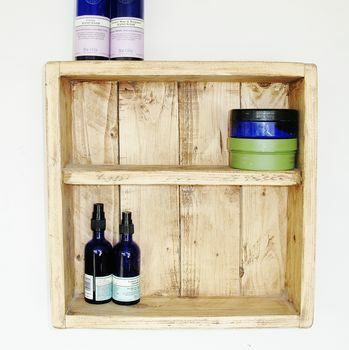 These lovely box Shelves have been made with the old fashioned apple and wine crates in mind. 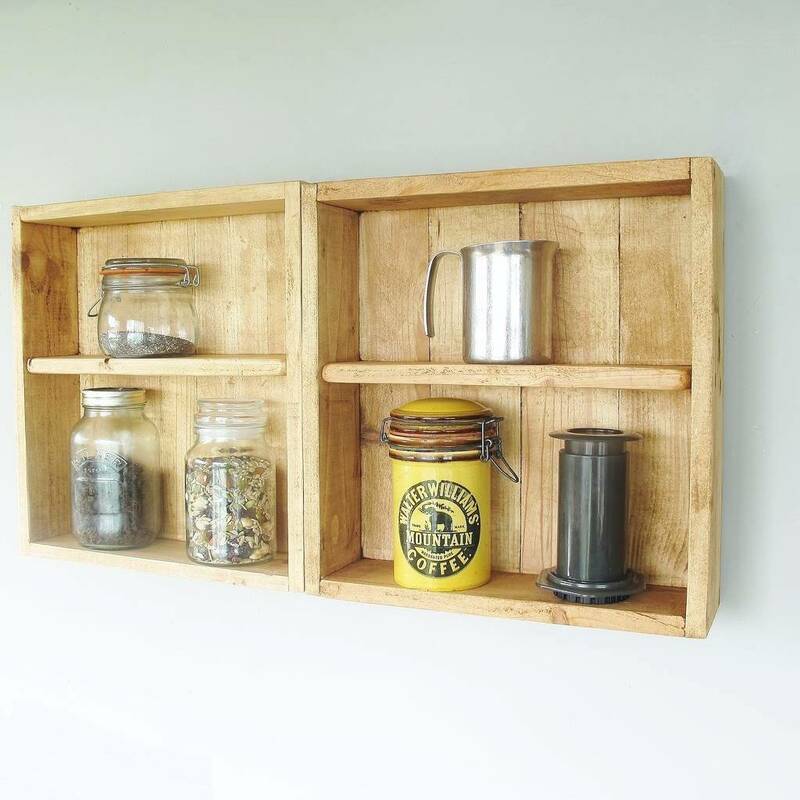 Handmade here in Devon using reclaimed wood which gives them true rustic charm. 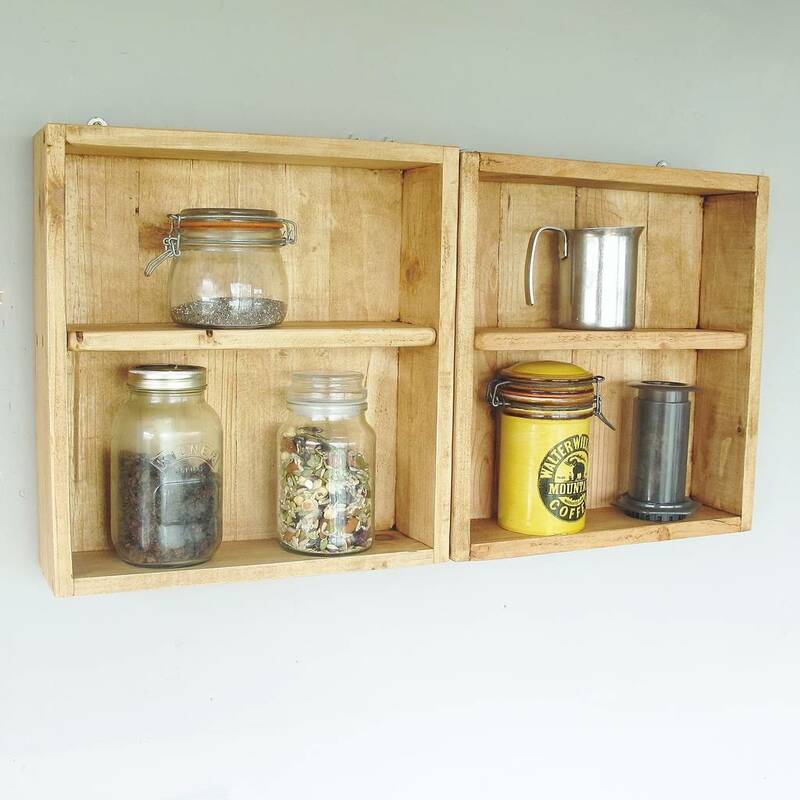 There are two antique brass hooks on the back to enable you to fix to the wall with ease.